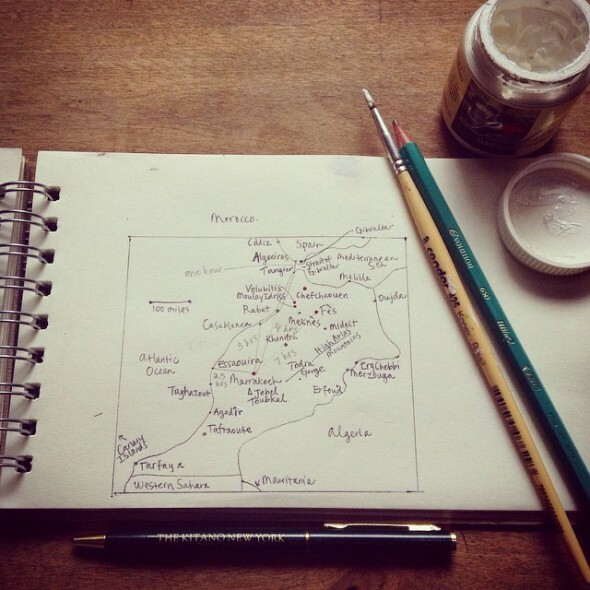 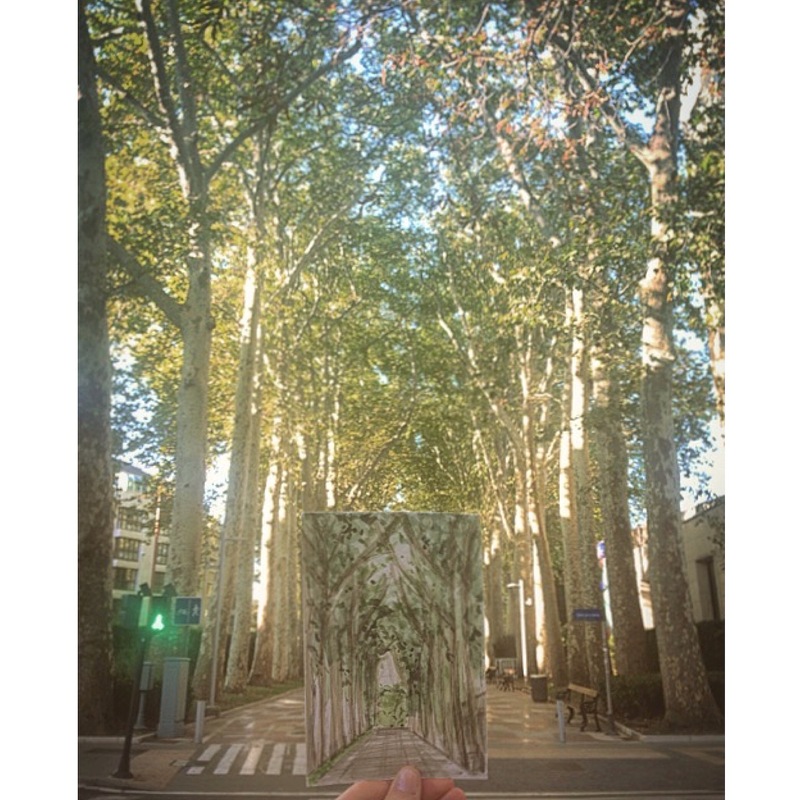 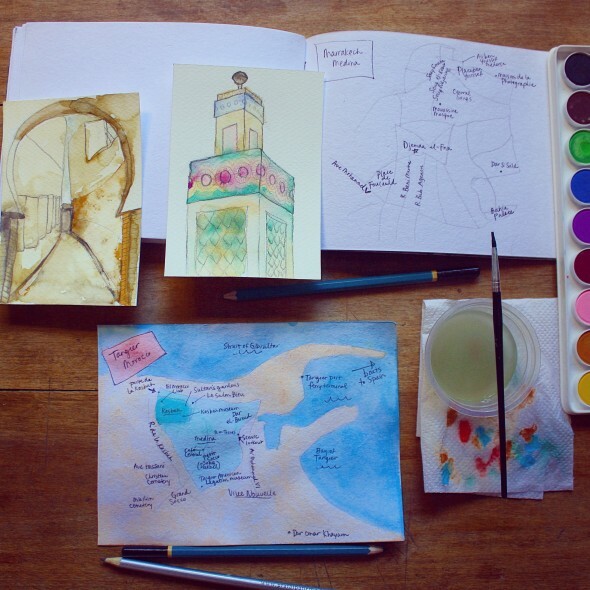 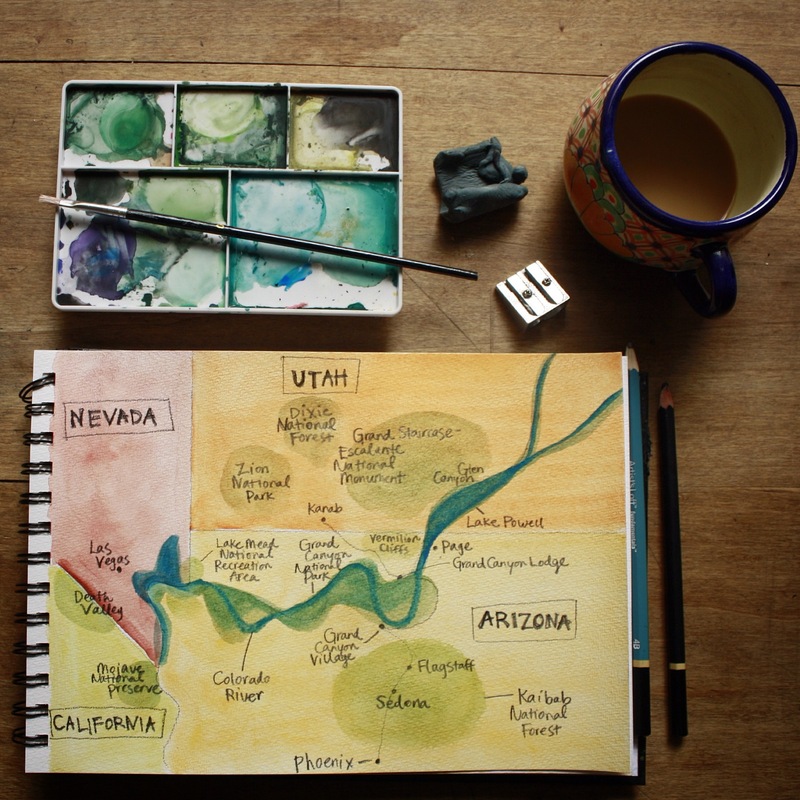 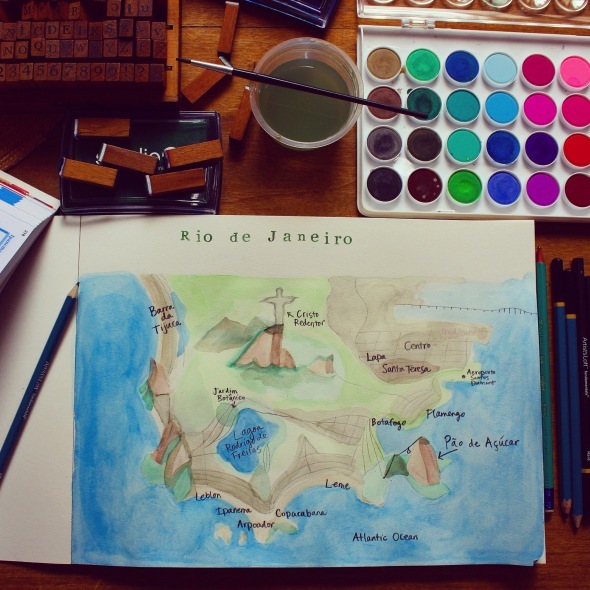 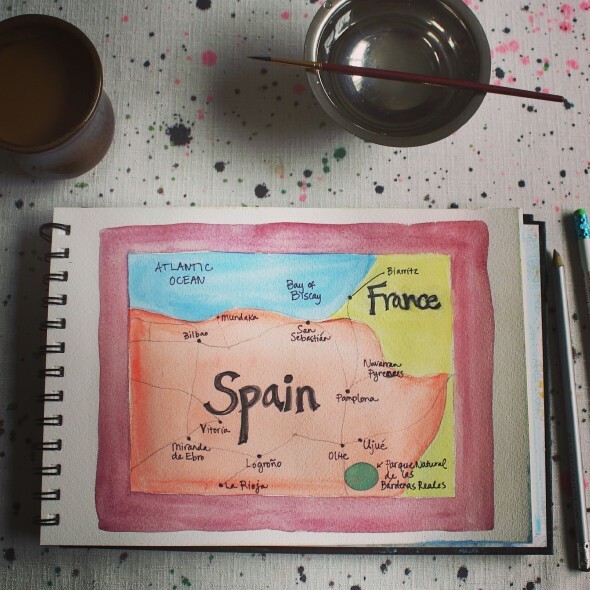 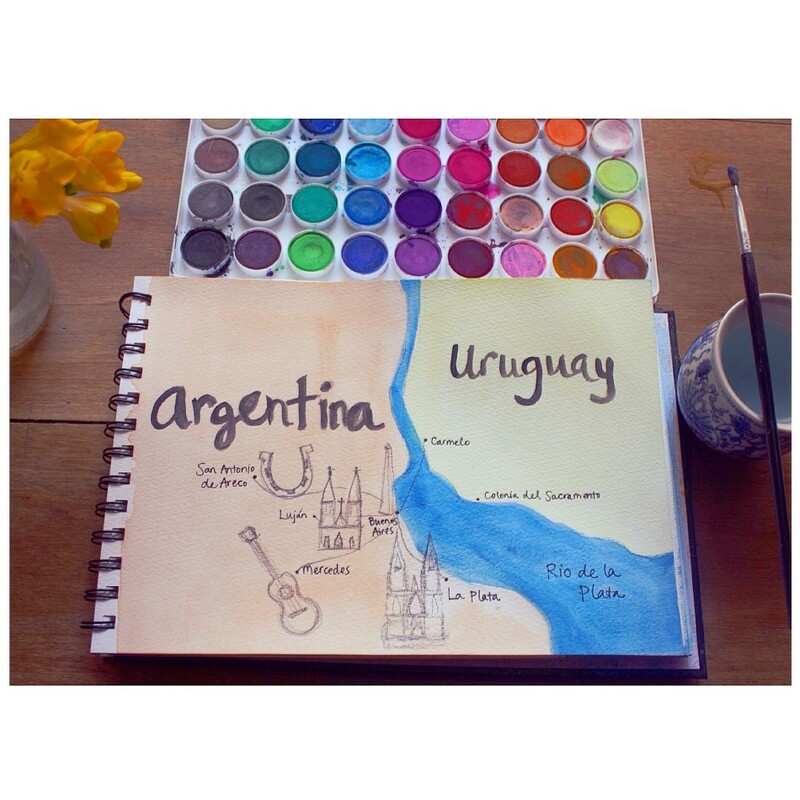 Watercolors, sketches, maps: a running catalogue of travel adventures. Gaztelugatxe means “castle rock” en Basque. 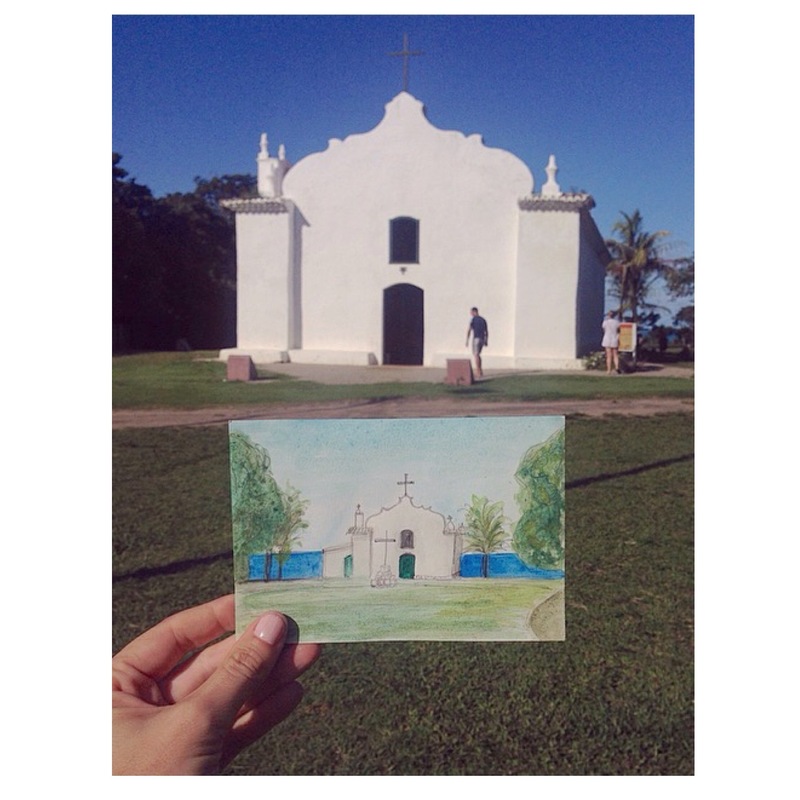 Tradition is to climb to the top of the island, ring the church bell three times, and make a wish. Mapping out an assignment: Basque Country. Planning a trip: Rio de Janeiro. Mapping out a road trip: Grand Canyon National Park. 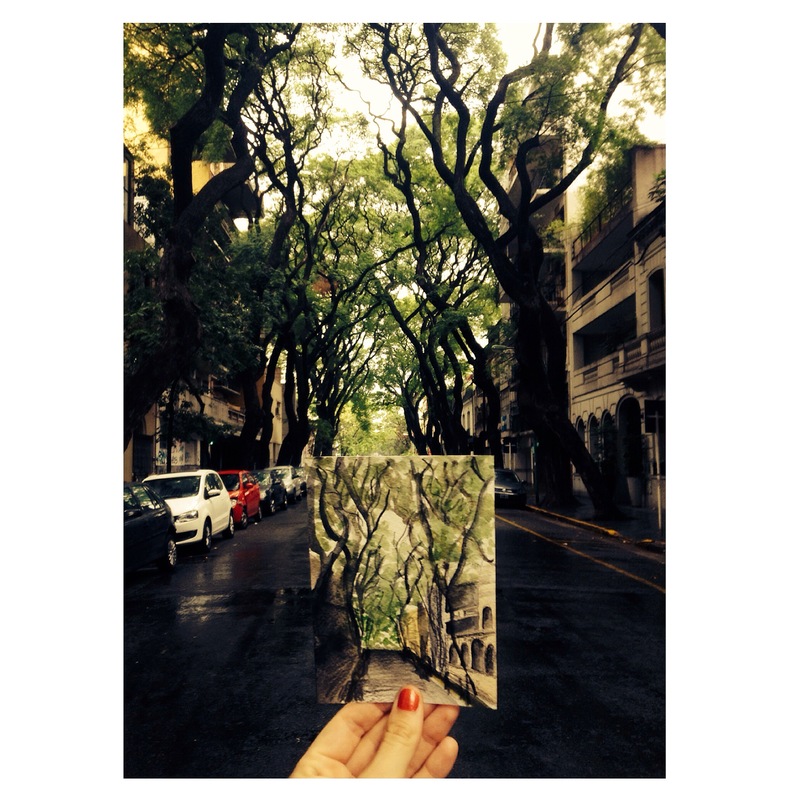 Tunnel of trees II, Buenos Aires. 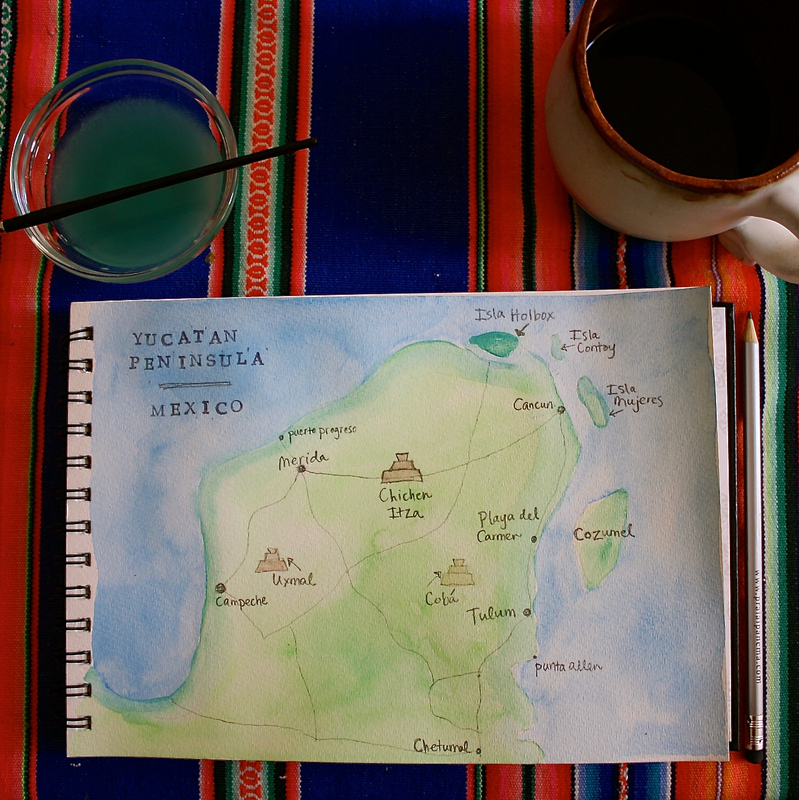 Planning a trip: Yucatán Peninsula, Mexico. Painting Marrakech, Fés & Tangier: collaboration with Elizabeth. 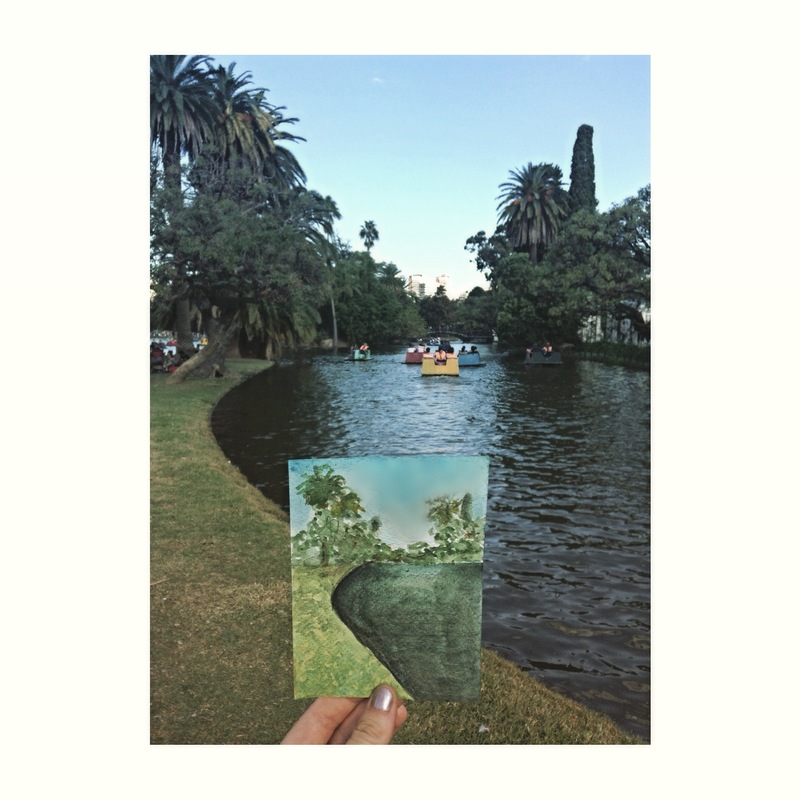 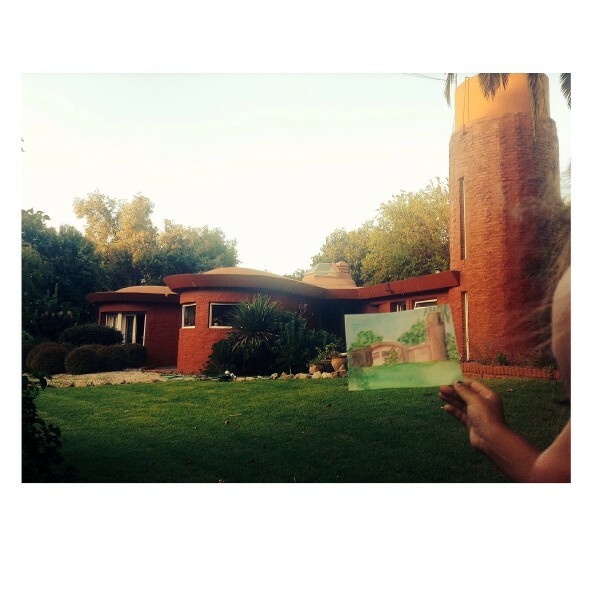 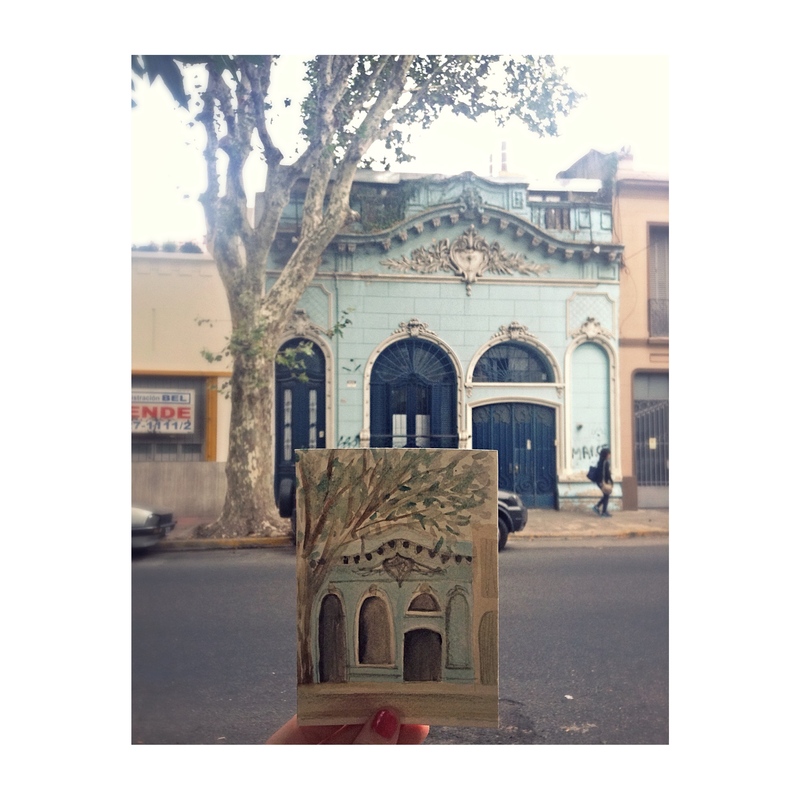 Retro summer rental: painting in the suburbs of Buenos Aires. Tunnel of trees, Buenos Aires. 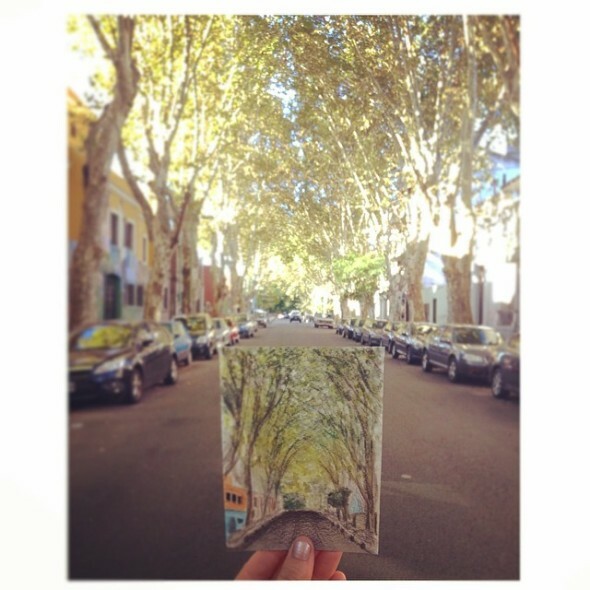 Tunnel of trees, Vitoria, Spain. 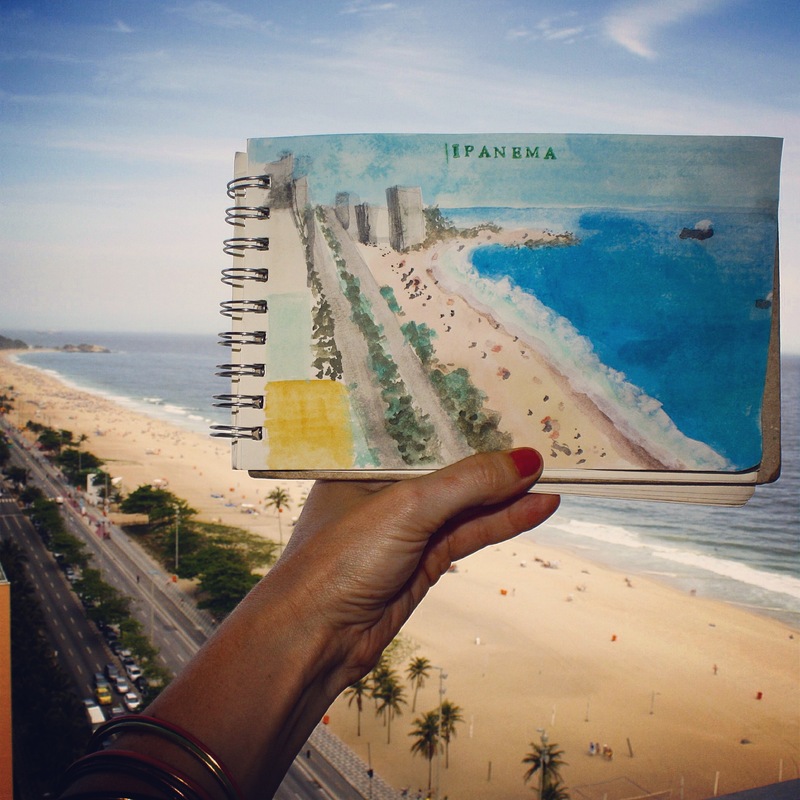 Watercolor from the hotel window: Rio de Janeiro. 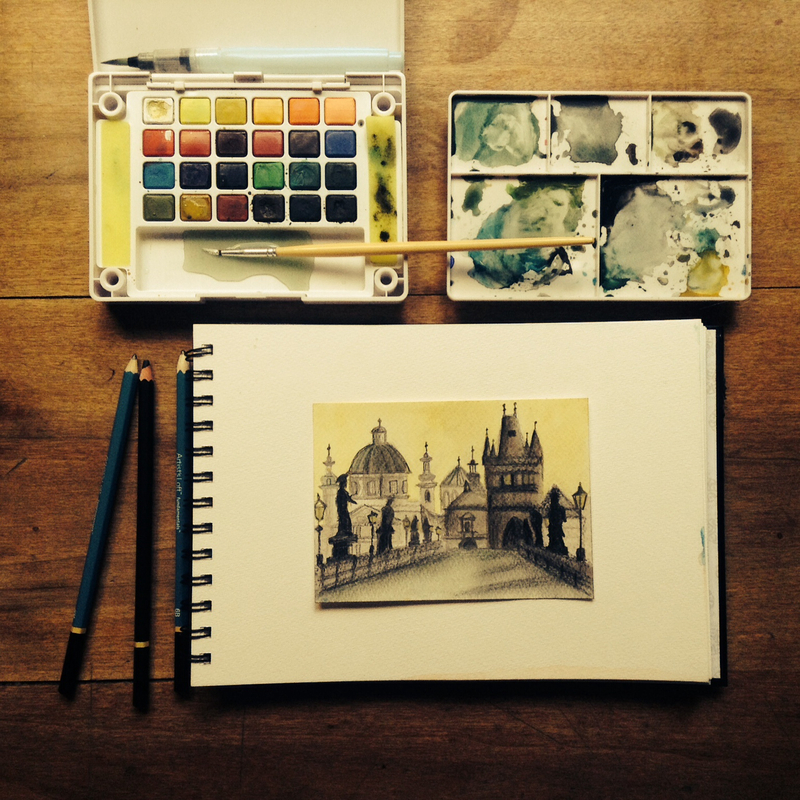 Walking to Malá Strana, Charles Bridge, Prague. 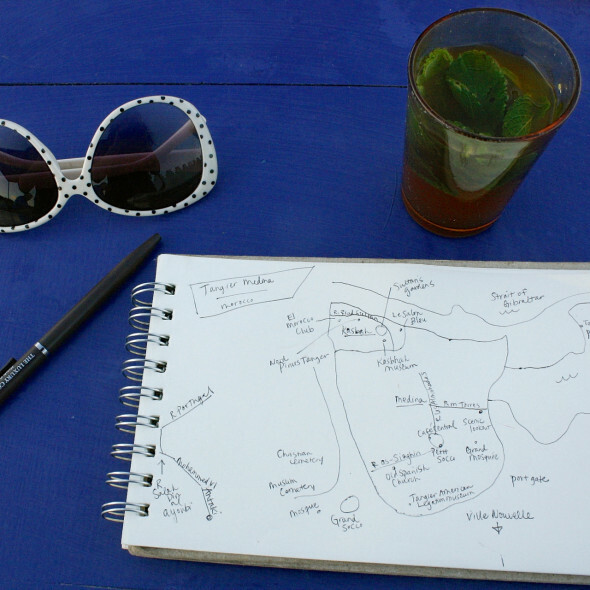 Mapping a place: Le Salon Bleu, Tangier, Morocco. Painting a friend's house, Buenos Aires. 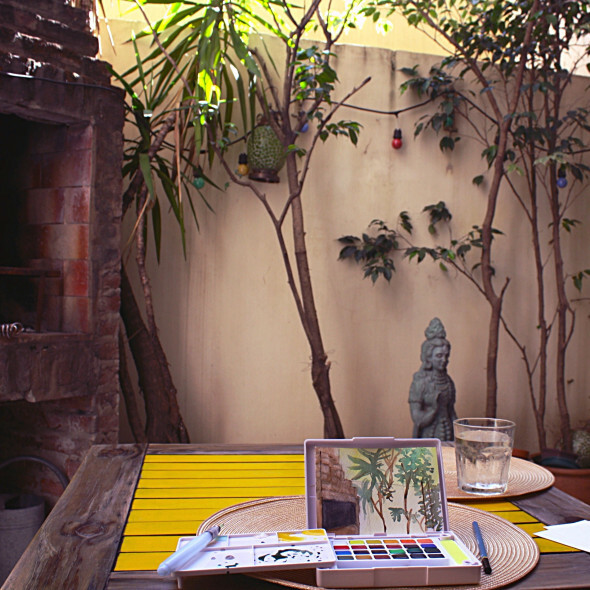 Painting in the backyard: Buenos Aires. 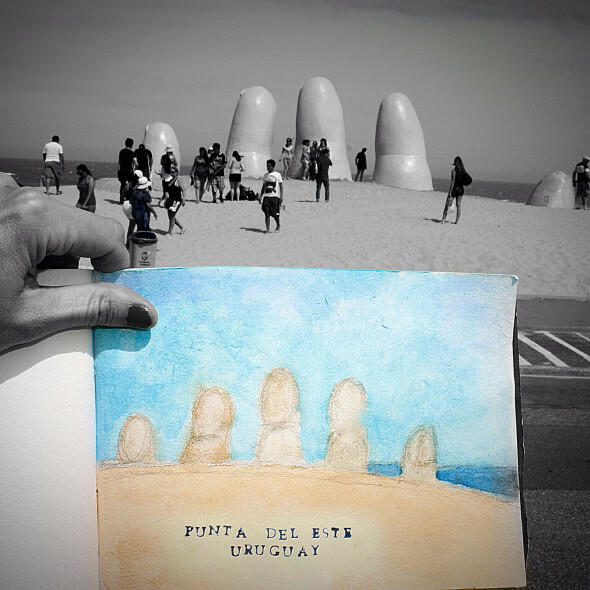 Quick watercolor landscape: Punta del Este, Uruguay. 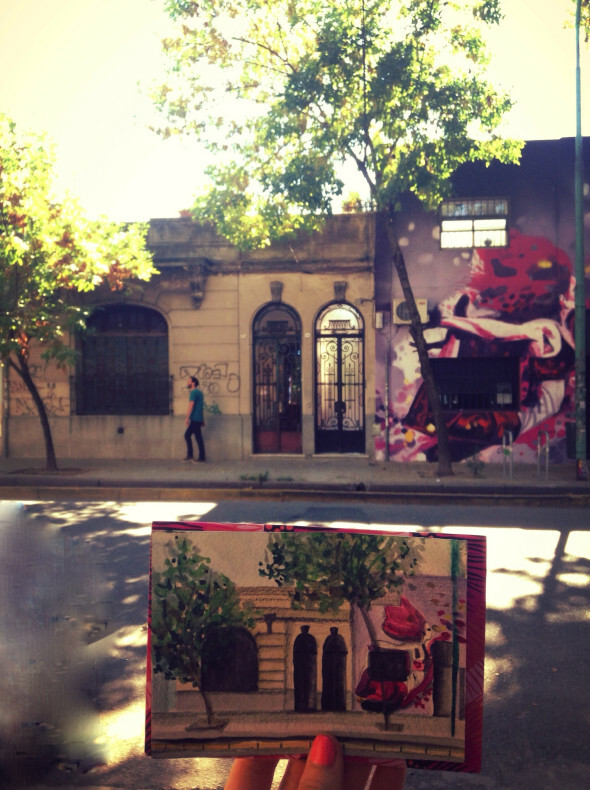 Painting the house around the corner, Buenos Aires.